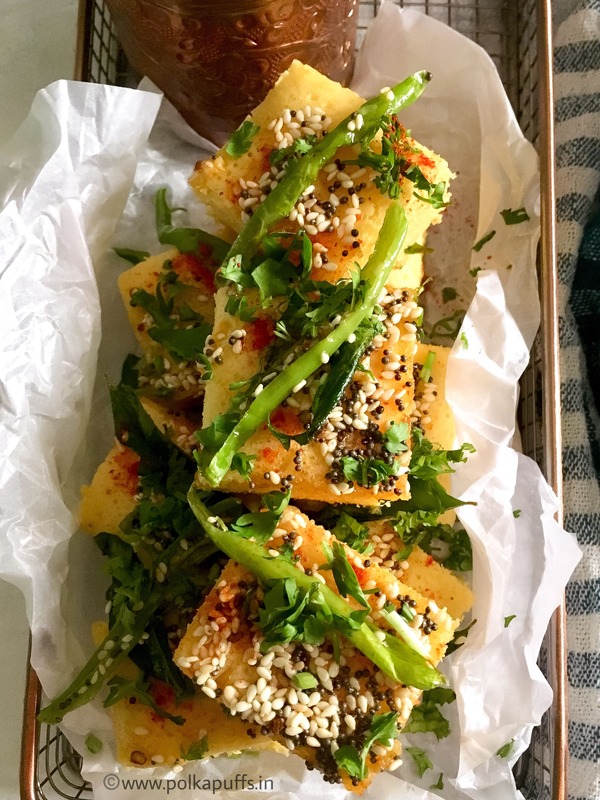 Khaman Dhokla Recipe | How to make Gujarati Khaman Dhokla is a delicious snack from the state of Gujarat. It tastes slightly sweet and tangy at the same time. 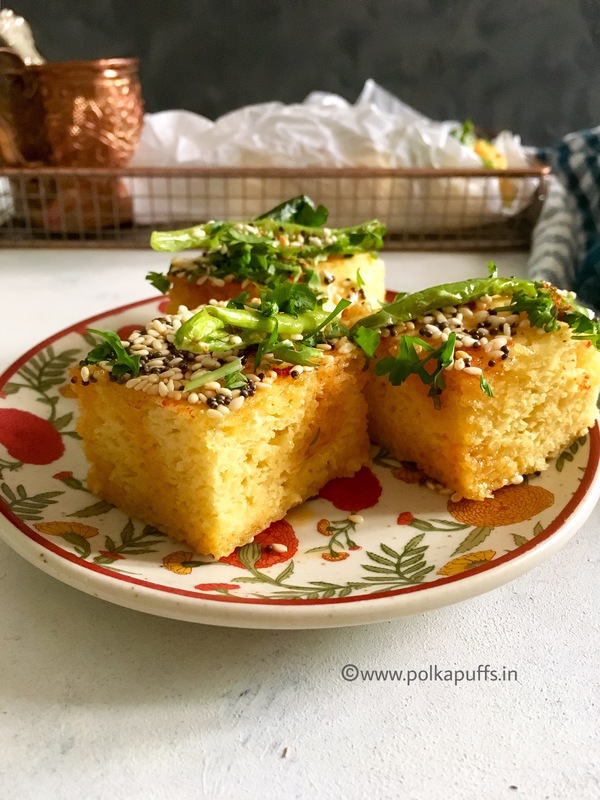 Khaman Dhokla Recipe | How to make Gujarati Khaman Dhokla has a spongy and soft texture which is very appetizing. 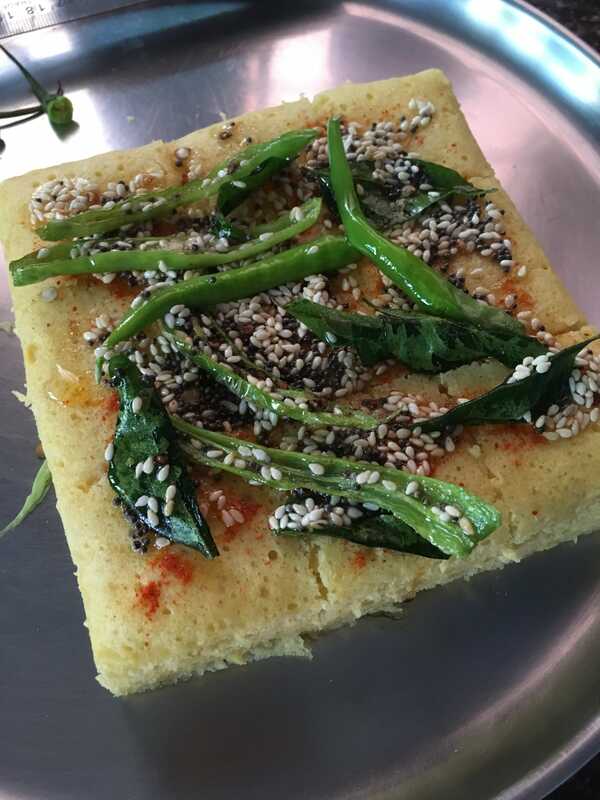 This Dhokla is usually served with a dip/ chutney of sesame oil and chili powder. However, we live it with a spicy green chutney/ dip and lots of green chilies. I even add a ton of sesame seeds to the tempering tadka!! 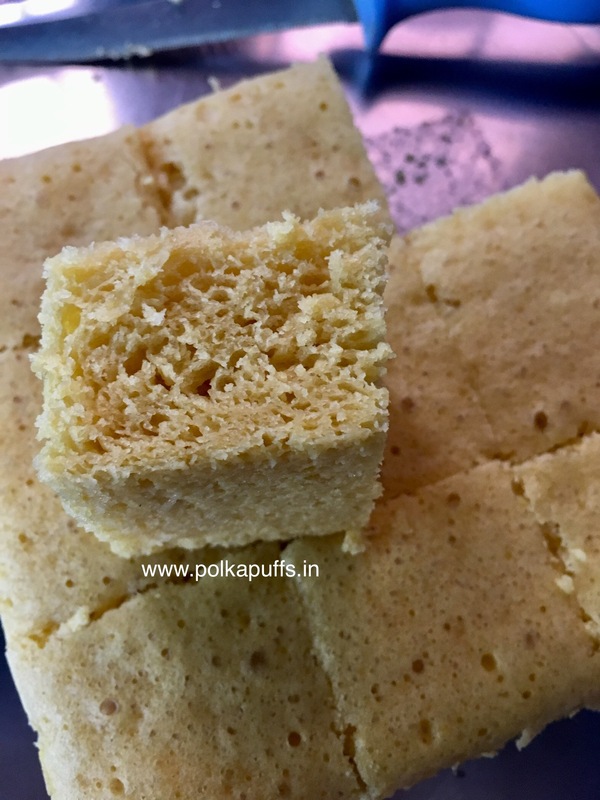 I find that crunch very appealing and even my hubby enjoys the crunch with the spongy texture of the Khaman. 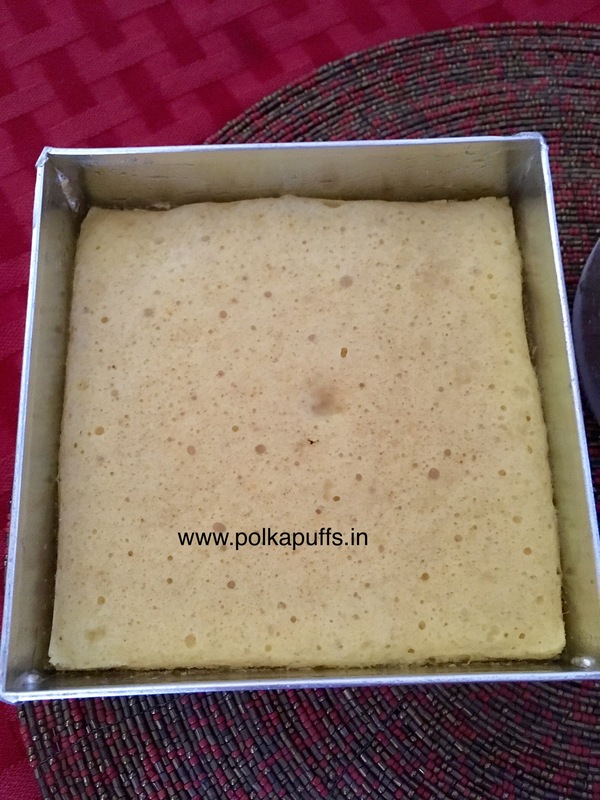 There are many recipes that are made in the microwave, termed as instant Dhokla which is made in the microwave. I believe in making things the authentic way and prefer the traditional steaming method. Personally, it just takes about an extra 15 minutes in the steaming method and I will happily devote them to make something delicious! Now we start the step by step recipe. 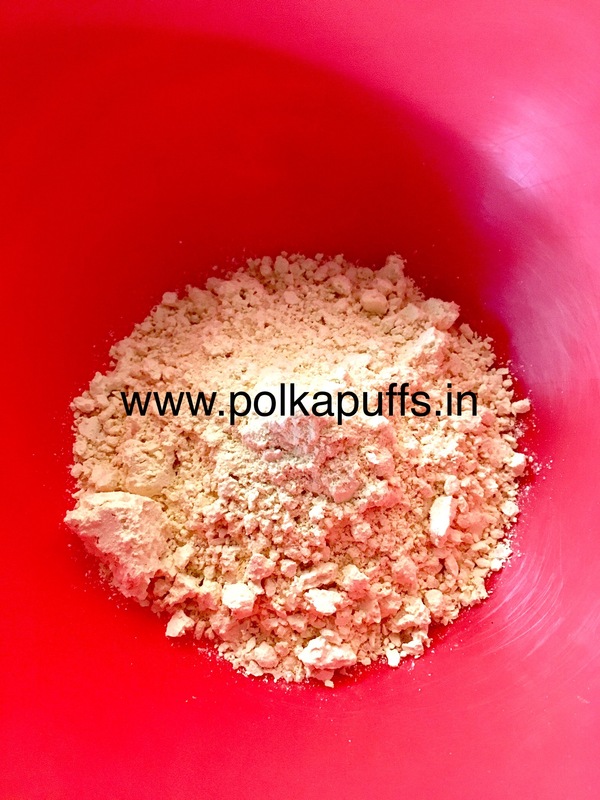 Take sieved besan/ gram flour in a large bowl. Add hing, turmeric and salt. Add ginger and green chili paste and lemon juice. Add water a little at a time and make thick, smooth yet flowing batter. Add water as needed because the quality of the flour determines how much water will be needed to make a smooth batter. Grease a steamer plate or tin with 1 tsp of oil and set it aside before moving with the batter. Boil 2 cups of water in the steamer or pressure cooker. 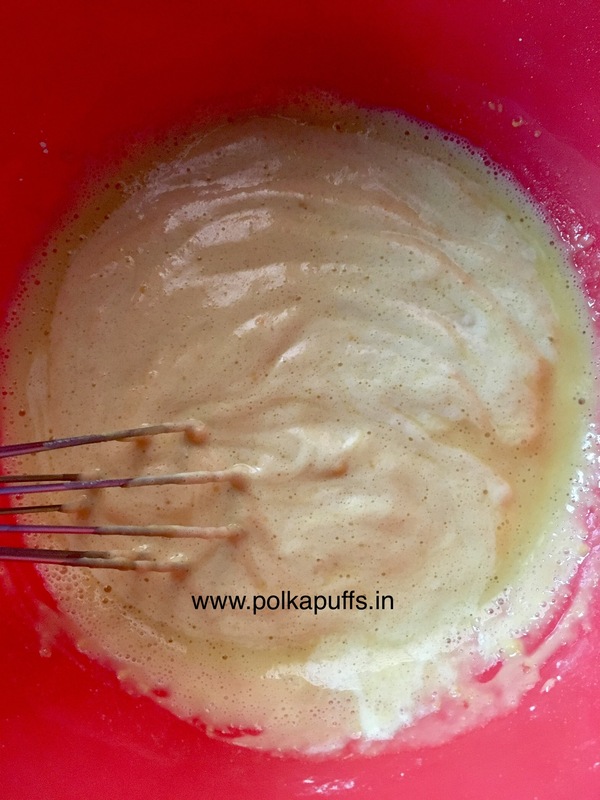 Now add ENO to the batter and whisk the batter well to combine the fruit salt well and avoid unevenly cooked Dhokla. Pour the batter into the prepared plate/ tin. Place the filled tin/ plate into the steamer/ pressure cooker. Remove the whistle and the rubber ring of the lid. Place the lid loosely to cover the steamer/ pressure cooker. Steam the Dhokla for 20 minutes on medium flame. To check the doneness, use a toothpick and insert it in the center of the steamed Dhokla. 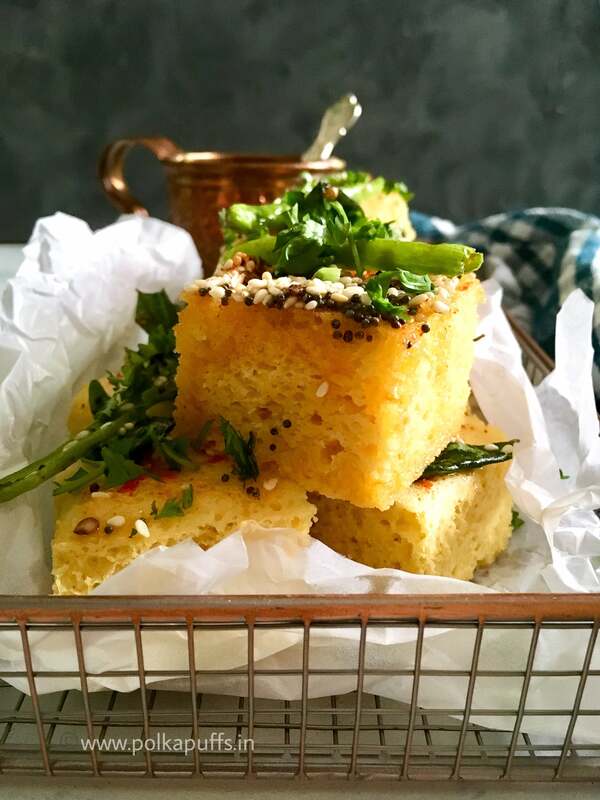 If the toothpick comes out with a few wet crumbs, steam the Dhokla for another 5-7 minutes. Once the Dhokla is steamed and cooled for about 10 minutes, run a knife around the Dhokla and unmould it onto a plate. Cut the Dhokla into pieces. Heat oil in a pan, add sesame seeds, hing, mustard seeds, sliced green chilies, sugar and curry leaves. Let them all crackle about in the hot oil and then pour the tempering over the sliced Dhokla. Sprinkle some red chili powder for extra spiciness. 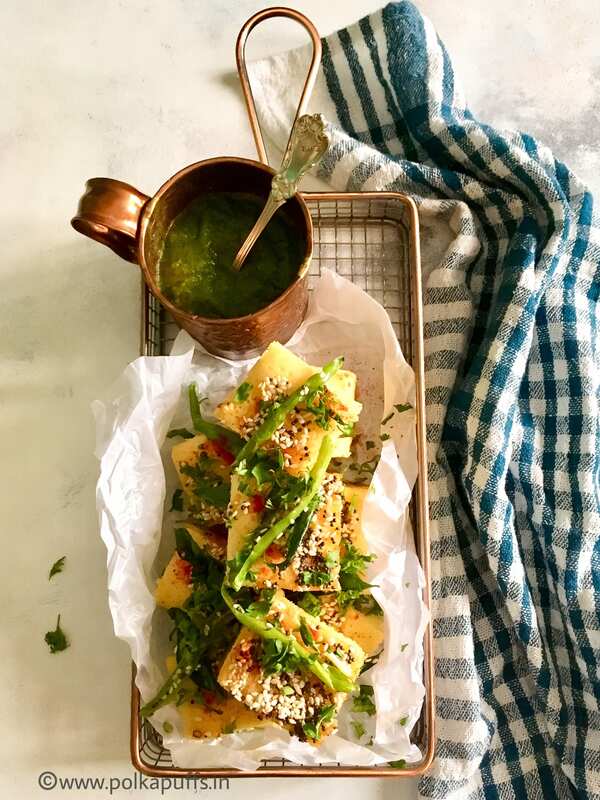 Gujarati Khaman Dhokla is a popular snack which is made using besan, spices and curry leaves. It has a tangy, sweet and spicy flavor which is loved by everyone. 2 + 1/2 cup water approx. Best consumed fresh. Do not rest the batter after adding the ENO. Steam it immediately.